The California Community Colleges (CCC) Education Planning Initiative (EPI) has launched two requests for proposal (RFP) for a Student Online Orientation Tool and a Self-Assessment & Career Exploration Tool. Both tools are expected to become part of the menu of online services that will be offered systemwide within a student portal being developed by the EPI. Requirements for each RFP were gathered from EPI Steering Committee members and work groups. Both were presented to the general public on June 10. At least 10 vendors for each will have been notified of the launch and qualified vendors from the public are welcome to submit bids. Vendors will be responding to a series of requirements gathered from the Student Services Portal Steering Committee, the Online Orientation work group and the Career Explorer work group. Selected finalists will be asked to demonstrate their products to the Student Services Portal Steering Committee on July 21 and July 22. Some of the goals of the Student Online Orientation tool are to improve the student’s college experience, put a “face" on their college, and help build the student’s foundation for success with discrete and measureable steps. Through a well planned and thorough orientation process, students can become familiar with what the college offers and build a foundation for success. The most innovative online orientations combine videos, photos, checklists and a final test for students, the results of which can be posted in the college's Student Information System for analysis and priority registration clearance. Participating in self-assessment and career explorer activities will improve new students’ college experience, build a foundation for success and assist the student with insight and tools to find a career direction. Through a well planned and thorough self-assessment and career exploration process, students can become familiar with what college(s) to choose and which majors to pursue. The Career Explorer tool is expected to be used by CCC students to search for and pursue careers before, during and after their periods of study. It is expected to scale to support the 2 million-plus incoming and continuing students in the CCC. In addition, it must be accessible for students with disabilities and be able to operate on mobile devices. The most innovative Self-Assessment and Career Explorer tools combine videos, photos and checklists. 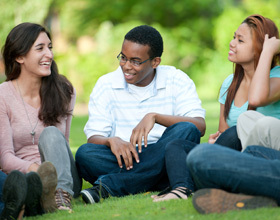 California Community Colleges Education Planning Initiative (EPI).